Is the act of funding great art its own reward? Or does the funder have the right - or even the responsibility - to make sure that what gets produced accomplishes a set of objectives for both the giver and the recipient? It is a given now that in order to get a foundation grant, it's often not enough to simply apply for funding of what you do day in and day out. What do funders want? Innovation! New ways of "engaging" younger audiences! High-impact special projects that others will want to emulate! I don't mean to belittle these goals, or even the jargon. Arts and culture groups need an audience, and getting a handle on the marketplace is important. Also, it's useful to remember that foundations are perfectly free to spend their money any way they wish within IRS guidelines. But increasingly, funders are calling the tune, and arts and culture groups are changing who they are - the art itself - to win grants. Hasn't it always been thus? Yes. What's different now, however, as voiced in a new William Penn Foundation-commissioned study by Boston consultant TDC, is that because of the arts sector's growth and the lack of growth in arts funders, groups are "chasing a shrinking pie." What the report doesn't shout is that William Penn is the last large local foundation standing. Annenberg has moved to Los Angeles; Pew has shifted its focus to advocacy and to Washington (though it is still a substantial arts funder here), and, after a breathtaking spree, the Lenfests have wound down their largest giving. The arts sector, meanwhile, has exploded. William Penn's report implicitly makes the case that it alone cannot take up the slack. But commissioning the study was hardly a self-serving gesture. The report asks a key question: By what metrics do we judge growth? Simply a bigger budget and more audience? Metrics may be king, but it's not so easy to measure the success of art, which is often subjective. Audience size and critical reception are almost irrelevant when you consider how long it took to understand the value of Beethoven's Symphony No. 3, or to appreciate the scale of Bach's genius. How can foundations operating on annual grant cycles be expected to exercise any wisdom at all? These questions are particularly critical now. Should the Mann Center be forced to book pop acts to survive, while its core mission of presenting art is on life support? 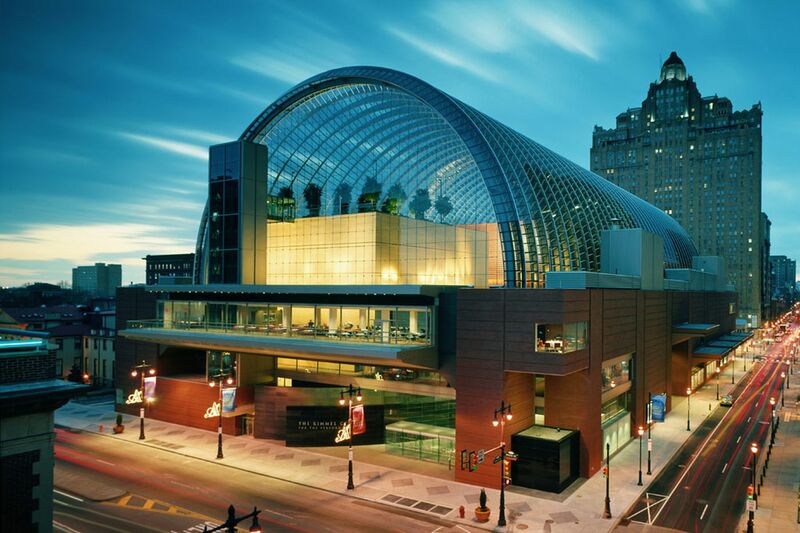 If the Kimmel Center - having achieved 90 percent earned revenue by trading visiting orchestras for pop acts, Seinfeld, and magic shows such as The Illusionists - tilts further into being a commercial presenter and landlord and less a purely artistic enterprise, does it deserve its IRS tax-exempt status? Less philanthropy by definition means more earned revenue, so at what point do arts and culture groups become barely distinguishable from Disney and Live Nation? "The arts sector has long struggled to define quantitative measures of success in artistic quality, audience engagement, or learning outcomes," states TDC's report. "Without tangible ways to show progress on intrinsic value, growth becomes the proxy goal - growth in attendance, in donations, in space, in dollars." Further, growth is perilous, because being larger means higher expenses. "Of the 10 organizations in the Study Sample that grew by 100 percent or more, eight fit criteria that placed them in the At Risk category of financial health and none met criteria for the Sustaining category." The report William Penn commissioned was intended to study the business side of arts groups, not the artistic side. Still, I think it helps to feed an underlying assumption by many local board leaders that if only a business plan could be righted, arts groups could somehow pay their way, becoming less dependent on or eliminating the need to pass the hat at board meetings. But it doesn't work this way, and TDC puts numbers behind the reality. Among 163 groups studied, only 11 reported covering 100 percent of program costs with revenues earned from programming activities. A useful yardstick: If an arts group meets its annual budget overwhelmingly with ticket-sales income, it's probably not an arts group anymore. While our zeitgeist may have been swamped by business-think, the reality of an orchestra, art museum, or scholarly library is that it can never pay its way with ticket revenue. Still, the pressure to bring in big audiences is unrelenting, hence the blockbuster phenomenon. But who are we becoming as a civilization if we've put arts groups in the position of chasing public taste, rather than leading or enlightening it? TDC's report never mentions potential new arts funding sources, but it does set the stage for another conversation on public funding through a tax or other dedicated source, which Philadelphia has long resisted doing in any substantial way. Managing such a fund would hardly be easy. Who would get money? The large tourist-drawing groups downtown, or community arts centers in the neighborhoods? Would this be only a city fund, or would it include the suburbs? You could be sure that no matter what was decided, someone, somewhere, would be left in a rage. The age of contraction is upon us. Growth occurred informed by little more than the vague notion that we didn't have enough seats for all the potential patrons who wanted in. Now we have the seats, and it's not clear who will fill them. No individual or governing body has the moral authority to decide which groups will live, merge or die. But William Penn has informed the conversation with what appears to be more and better financial data than we had at the start of the growth phase. It doesn't help establish which groups are making the most valuable artistic contributions - that conversation remains elusive - but it is at least a start.